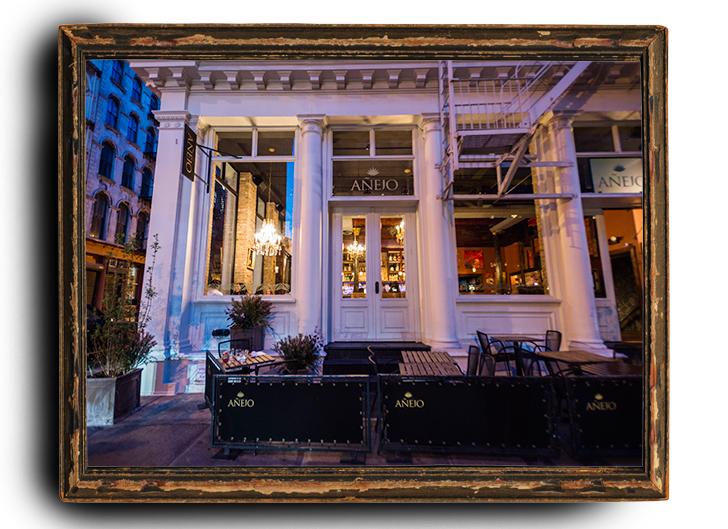 Join us this Thursday, April 5th through Saturday, April 7th at Añejo Tribeca for our Tequila Sommelier Tasting Table from 5pm-7pm. This week we will be featuring Calle 23 Tequila. French Biochemist Sophie Decobecq fell in love with Mexico and in love with agave spirits, and one day she followed her heart and moved to Mexico to continue studying this scientifically fascinating plant. After ten years in Mexico she decided to dive into her passion head first and start her own tequila company. Using her expertise in Chemistry, Engineering, and Fermentation she set out on a personal quest to adapt the process at every turn to produce the smoothest tequila on Earth. Growing her agave between Tepetitlan and Arandas, where sunny dry seasons are met with heavy rain creating a mineral rich soil perfect for agave growth, and then resting their aged expressions in Ex-Bourbon American Oak, Calle 23 is producing some of the most affordable quality tequila on the market.